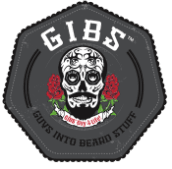 *Get your GIBS on at Sport Clips locations across the country. Find a store HERE. *GIBS is now carried at Beauty Brands! Shop GIBS GROOMING HERE. *GIBS is now carried at Beauty Care Choices. CLICK TO VISIT NOW. *Find GIBS Grooming in CosmoProf stores across the US. CLICK TO VISIT NOW. *Find GIBS Grooming at Pink Pro Beauty Supply: CLICK TO VISIT NOW. *CosmoProf Canada. CLICK TO VISIT NOW. *Windsor Beauty Supply. CLICK TO VISIT NOW. *H. Chalut. CLICK TO VISIT NOW. *Capilex. CLICK TO VISIT NOW. *Kingdom Beauty Supply . CLICK TO VISIT NOW. *Chatters. CLICK TO VISIT NOW. *Thanks to #SallyMen for spreading the GIBS love throughout Chile. CLICK TO VISIT NOW. *Australian professionals can find us at Salon Mega Mall, Australia. CLICK TO VISIT NOW. *Australian professionals can find us at Hair Beauty Co-Op. CLICK TO VISIT NOW.